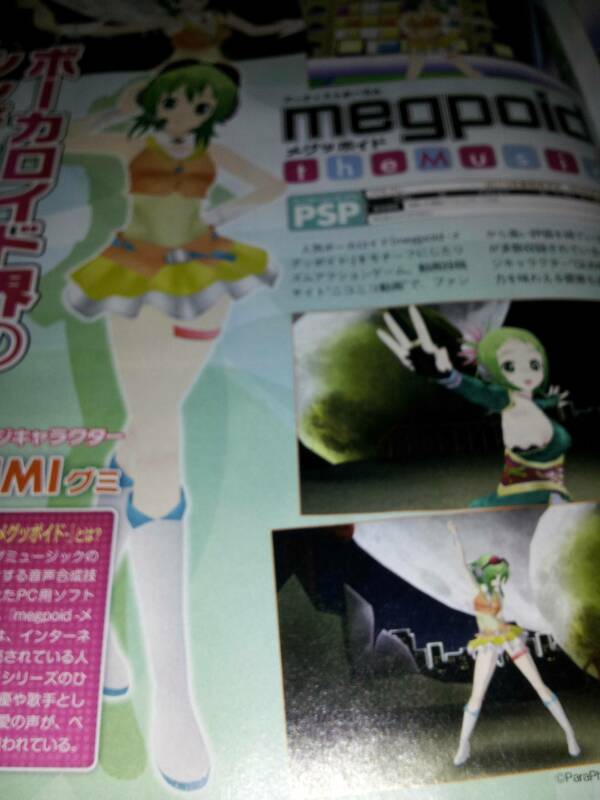 I’m going to be dusting off my good old PSP Go as the latest Famitsu has revealed that a new Vocaloid game is coming to the PSP. 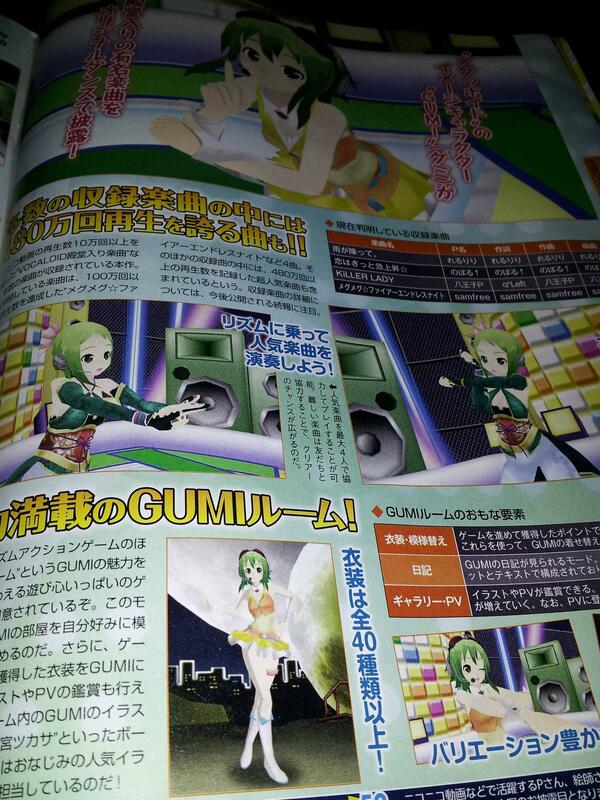 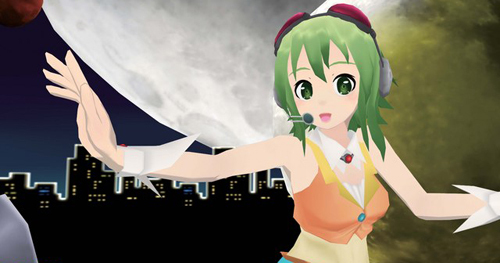 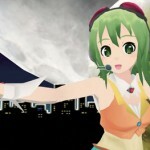 Nope, it’s no longer Hatsune Miku’s show, it’s Gumi’s turn to hit the spotlight. 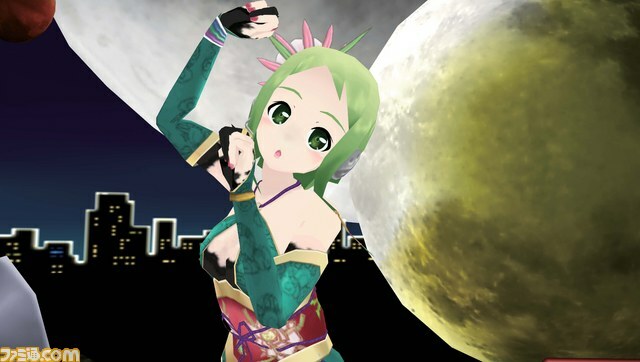 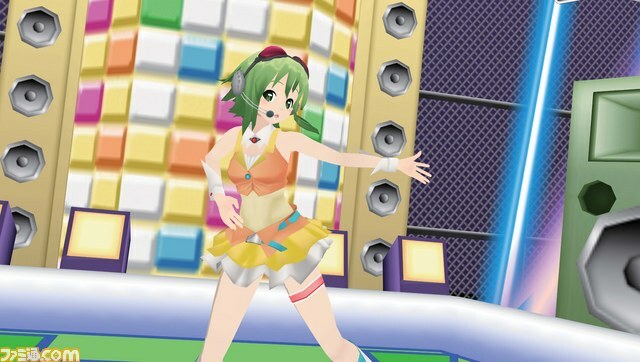 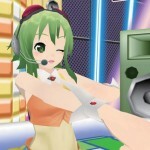 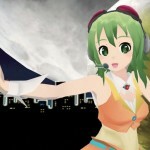 Gumi is a Vocaloid character created by Internet Co., Ltd to be the official mascot for its line of Megpoid software — powered of course by Yamaha’s Vocaloid technology. 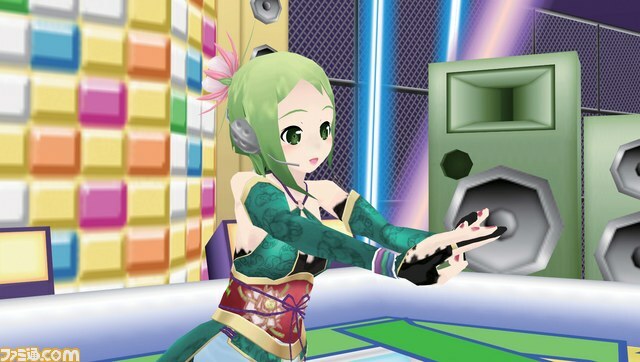 For those in the know, Green haired Gumi was originally voice actress Megumi Nakajima (Ranka Lee of Macross Frontier fame XD). 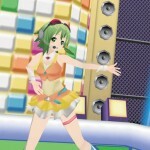 There’s currently no details on gameplay, especially if it will be similar to Sega’s Project Diva games. 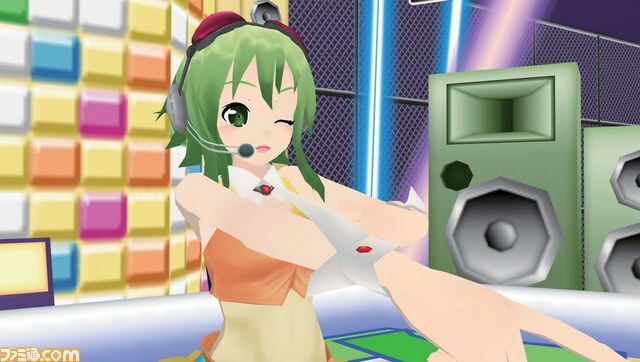 SGCafe however points out that on it’s Famitsu feature page, the info-box on the game does say that megpoid the Music# will support “1 to 4 players”. 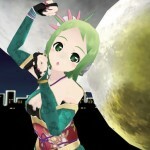 I expect something similar to the K-ON! 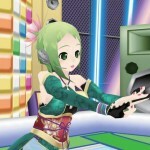 PSP game for multiplayer — meaning local adhoc. 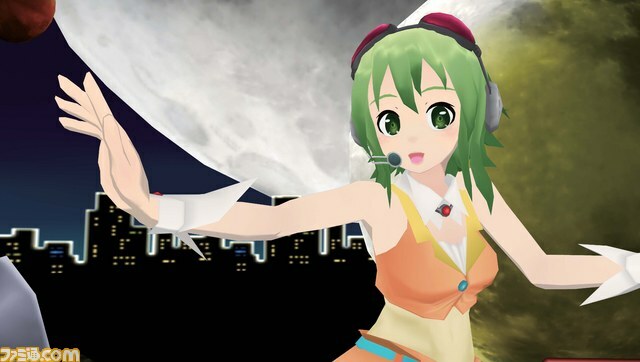 While we still have no idea how the game will be played, we do know that it borrows some aspects of past Vocaloid games featuring a module change (or in this case just a costume change), Diary and Gallery/PV mode.